This PREVAGE® Advanced Anti-Ageing Serum by Elizabeth Arden is now more powerful than ever. This Serum guarantees you outstanding and long-lasting results with its re-engineered idebenone formula - the most effective antioxidant around. 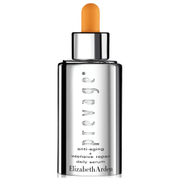 Elizabeth Arden PREVAGE® Face Advanced Anti-Aging Serum boasts a brand new formula designed to help create a reserve within the skin to release protective and corrective benefits when and where they are needed most. It also effectively reduces the appearance of fine lines and wrinkles. The protective and revitalising effects of idebenone combined with lipoic acid, kinetin, and vitamin E help to reduce the appearance of lines, wrinkles, minor scars, redness, and sun damage, so your skin looks younger and healthier. 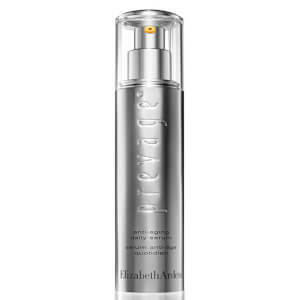 It also minimises the appearance of age spots and discolouration.